Beacon Audiobooks, a division of Spectra Records, has signed a third publishing deal with award-winning author Jaimie Engle, of Melbourne, Florida, to nationally distribute the digital rights for the audiobook format of Deadlands: Wolf Moon narrated by Diana Steele, who has worked on projects such as Wonder by R.J. Palacio and The Worsening by Olivia Stanton. Cover design by Philip Benjamin of Benjamin Studios. 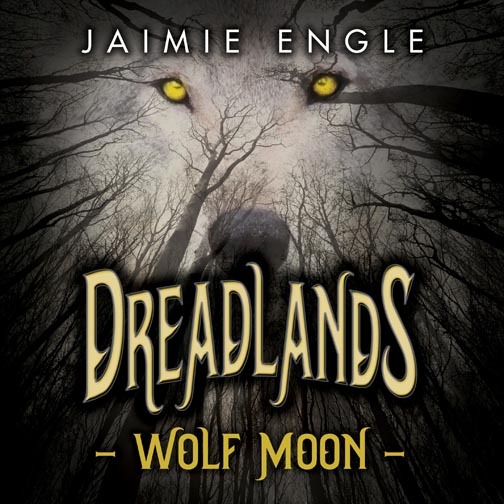 Dreadlands: Wolf Moon begins 200 years after Leif Erikson abandoned the settlement in Labrador, Canada after the ferine, arctic shifting wolves, attacked and murdered his small crew. A band of families stayed behind to build, learning to find balance with those who hunted them. Arud is a third generation Norse on this strange soil, and with a grandmother who is unnatural, an anxious mother, and a missing father, his family tree is rooted in secrets. The harvest moon approaches, a single night when the ferine's binds to the Dreadlands are broken, freeing them to hunt. But when one appears beneath Arud's window, his mother rushes him off, urging him to take care of his sister whose sickness grows worse. After meeting a beautiful girl with questionable motives, Arud discovers a prophecy in which the blood of a human and ferine hybrid would shift all power to the Sorceress Edda and her wild pack of hunters. But when Arud learns his sister is the hybrid in this prophecy, his world is shaken as family deceptions unravel. Now the stakes are raised, and getting safely to the city in the sea becomes more than a quest. It becomes survival. Available for download worldwide on digital sites like BeaconAudiobooks.com, iTunes, Amazon and Audible.com. Free download codes available for giveaway opportunities. Engle is an anti-bullying advocate who empowers students across the state about their part in bullying through the power of their words. She is continually seeking partnership opportunities with schools and community programs that promote anti-bullying education. For more information about the audiobook, to purchase copies, or to request an author visit go to www.jaimiengle.com.